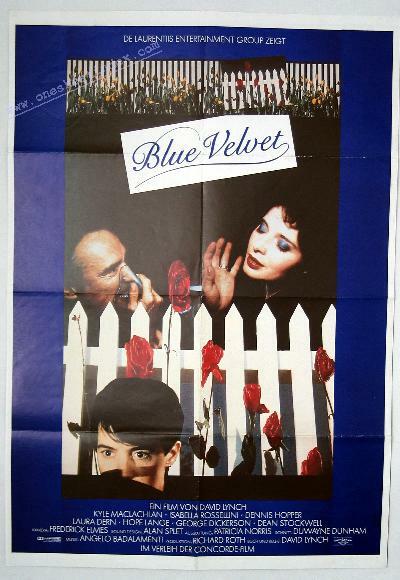 Set in a small American town, Blue Velvet is a dark, sensuous mystery involving the intertwining lives of four very different individuals: Jeffrey, the naive college student with a penchant for mysteries; Dorothy, the haunting cabaret singer with a dark and deadly secret; Sandy, the detective's daughter who embodies the innocence in all of us; and Frank, the psychotic killer fueled by his own sexual fantasies. The film's painful realism reminds us that we are not immune to the disturbing events which transpire in "Blue Velvet's" sleepy community. There is a darker side of life waiting for us all. executive producer. Written and directed by David Lynch. Original soundtrack available on Varese 3arabande records and cassettes.